Now is the time to order your Fall wedding favors and accessories available in beautiful Autumn season colors! These are perfect for your Fall bridal showers and weddings! We offer a variety of Fall favors including candles, coasters, photo albums for guests, Autumn colored soap leaves, place card holders and gift candles. We also offer beautiful Autumn Fall unity candle sets, memorial candles and bridemaid candles made with real Autumn colored leaves and flowers! 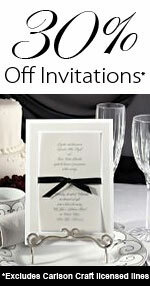 We also carry elegant Fall wedding invitations! Some of our beautiful fall favors are Fall Impression Coasters, Fall Leaf Bookmark, Maple Leaf Place Card Holder and Autumn Candle Wedding Favors.